Teklogix Products - Call Southern Graphics at 901-345-5566 for details and pricing. 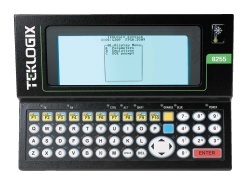 The 7035 is a rugged, DOS-based hand-held computer designed for supply chain operations. Although lightweight and ergonomic, the 7035 is designed to perform in the harshest conditions in your warehouse, manufacturing facility, yard, distribution centre or port. The 7530 is an ultra-rugged handheld engineered to meet the performance and durability requirements for data collection in the harshest of environments. The 7530 is designed to perform in the most extreme outdoor and indoor conditions in your warehouse, manufacturing facility, yard, distribution centre, freezer or port. The 7530 is designed for maximal uptime under the most challenging environmental conditions. The 7535 is a rugged handheld designed to perform in the harshest conditions in your warehouse, manufacturing facility, yard, distribution centre or port. The WORKABOUT PRO is a flexible, programmable and expandable rugged hand-held design for a range of data collection needs. 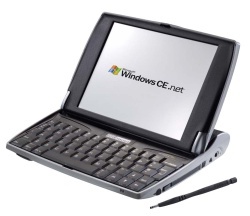 It is available with either Windows Mobile 2003 SE or Windows CE .NET configurations. The WORKABOUT PRO delivers the performance, ruggedness and durability required for mobile data collection in an ergonomic package. Using industry standards, our design ensures ease of integration with your infrastructure. Unparalleled expansion and connectivity options enable a high degree of customization in order that the WORKABOUT PRO can be tailored to your application. 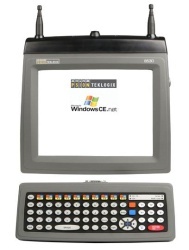 The Workabout MX is a rugged, lightweight and powerful entry-level hand-held computer designed to be the ideal choice for mobile workers in a wide range of commercial and industrial applications. The Workabout MX is an ergonomic and cost-effective solution for a multitude of barcode reading applications where long-battery life is critical. The 8255 and 8260 Wireless Vehicle-Mount Computers are designed to meet the challenge of the harshest environments. The 8200 Series offers unprecedented flexibility as a DOS-based, user-programmable computer. It supports a wide range of wireless radios and is built to withstand the harshest physical environments without compromising accuracy or high-speed performance. 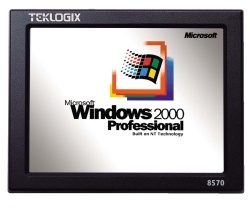 The 8525 is a Windows CE .NET based vehicle-mount computer engineered to deliver maximum performance, ruggedness and durability in the harshest mobile environments, whether outdoors or indoors. The 8525 is designed to deliver Flexibility, Integration, Ruggedness, Ergonomics (FIRE) day-in and day-out. The 8525 can also be configured to operate in Intense and Cold Environments (ICE). Add to this, robust expansion and connectivity options, and it is easy to see why the 8525 is the choice for use in rugged environments like warehouses, freezers, ports, yards and wide-area mobile applications. The 8525 is industry standards-based to ensure easy integration with your infrastructure. IP66 rating for dust and water protection against strong jets of water, all at temperatures as low as -22°F (-30°C)! 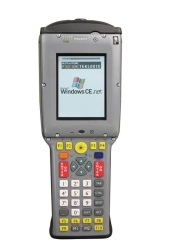 The 8530 is a Windows CE .NET based vehicle-mount computer engineered to deliver maximum performance in the harshest mobile environments. Ideal for warehouses, ports, yards and wide-area mobile applications. 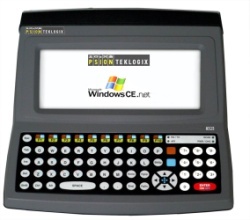 The 8530 is similar to the 8525 but with a detachable keyboard and full VGA screen. The 8560 Wireless Client/Server Vehicle-Mount Computer puts wireless supply chain management right where the data is – at the dock, on the warehouse floor, in the freezer, or in the yard. 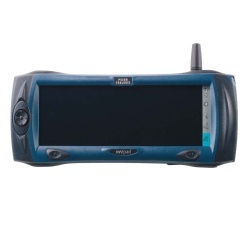 Compatible with the leading pen-based software solutions and standard off-the-shelf applications, this rugged, colour touch screen computer gives mobile workers the data capture and management capability to manage receiving, put-away, replenishment, picking, shipping, and container and cargo tracking. The 8570 Wireless Client/Server Vehicle-Mount Computer puts wireless supply chain management right where the data is – at the dock, on the warehouse floor, in the freezer, or in the yard. 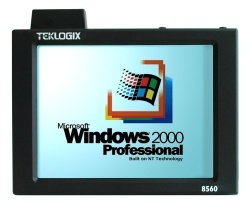 Compatible with the leading pen-based software solutions and standard off-the-shelf applications, this rugged, colour touch screen computer gives mobile workers the data capture and management capability to manage receiving, put-away, replenishment, picking, shipping, and container and cargo tracking. NETBOOK PRO combines the virtues of a laptop, with the flexibility and convenience of a PDA. It offers features such as instant on, long battery life, and a touch screen. NETBOOK PRO is designed for advanced mobile data collection and CRM applications across your enterprise workforce. The netpad ½ VGA rugged tablet delivers ergonomics and ease of use for demanding outdoor and indoor environments. The netpad is designed for a range of data collection and access requirements in applications such as field service, route sales, inspection, asset management, and general field data collection.